Happy Birthday to everyone born in May! 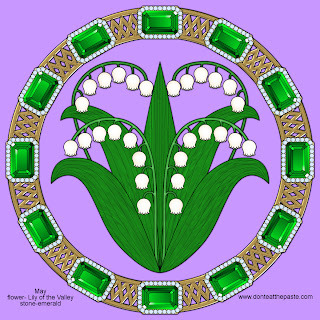 The birthstone for May is emerald and the flower is lily of the valley. 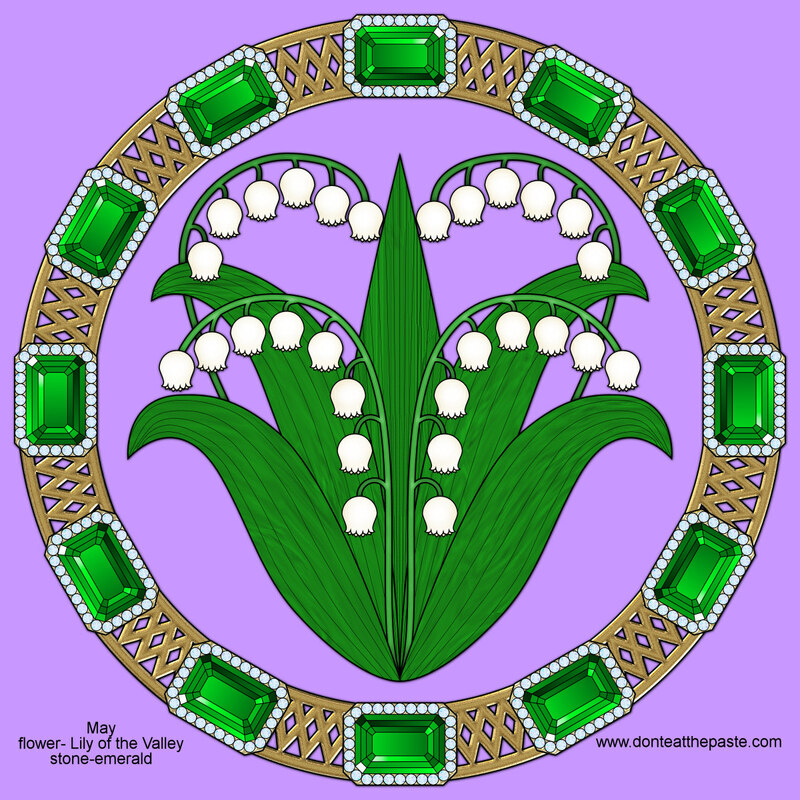 Lily of the valley is a flower that has long been a symbol for purity and humility. 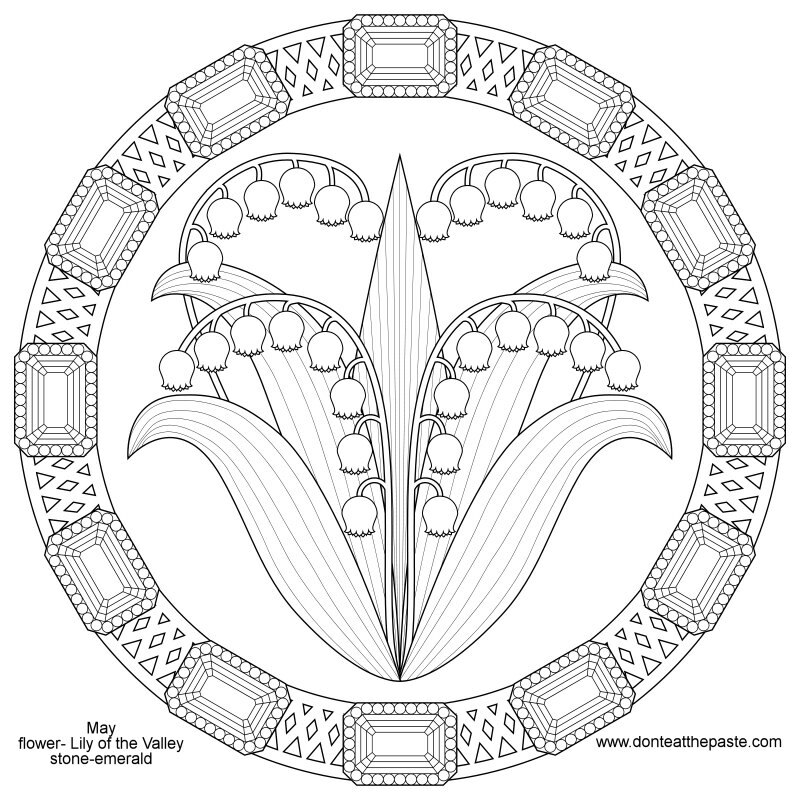 They are small, lovely and have an amazing fragrance that's very popular in perfumes. For the emeralds, I chose an emerald cut emerald of course. Click the images for larger versions. 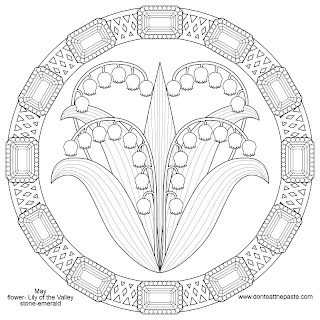 Print and color!